This is one of my early exercises in miniaturization, aiming to use as few materials as possible in fulfilling a need and thus minimizing its environmental impact. 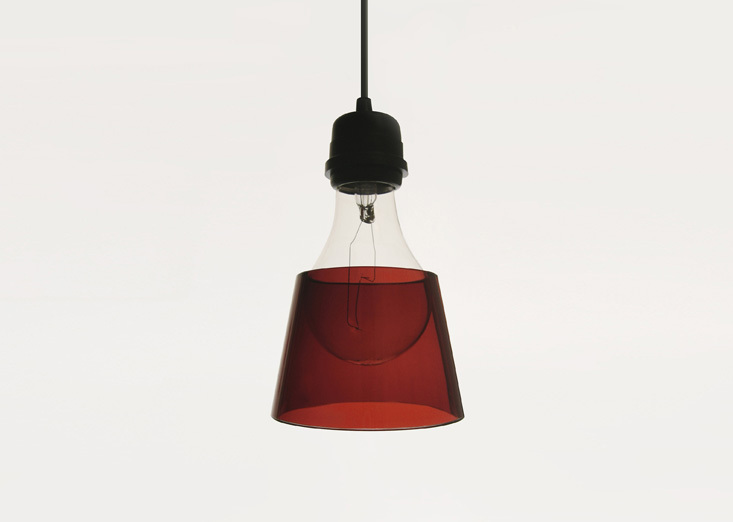 This lampshade was manufactured by 70m2 in the early two-thousands, made from post-consumer recycled glass. It was designed for incandescent lightbulbs, and late models were also installed in compact fluorescent bulbs, once these bulbs became widely available. 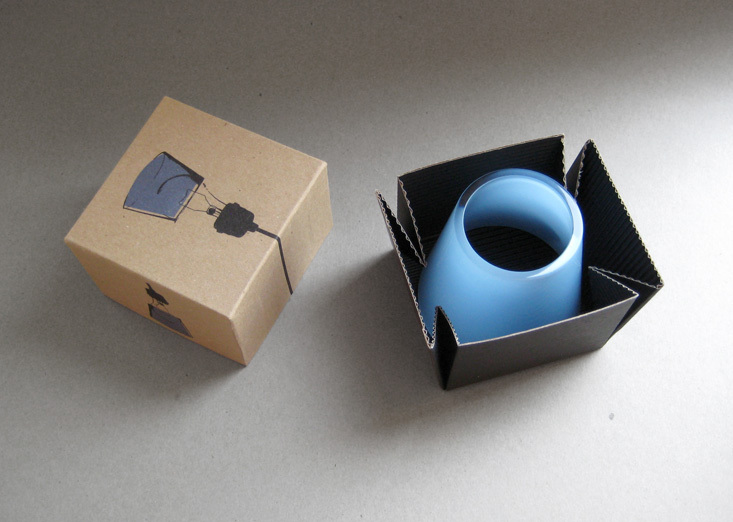 The simplicity of both the aesthetics and the production method are quite striking. 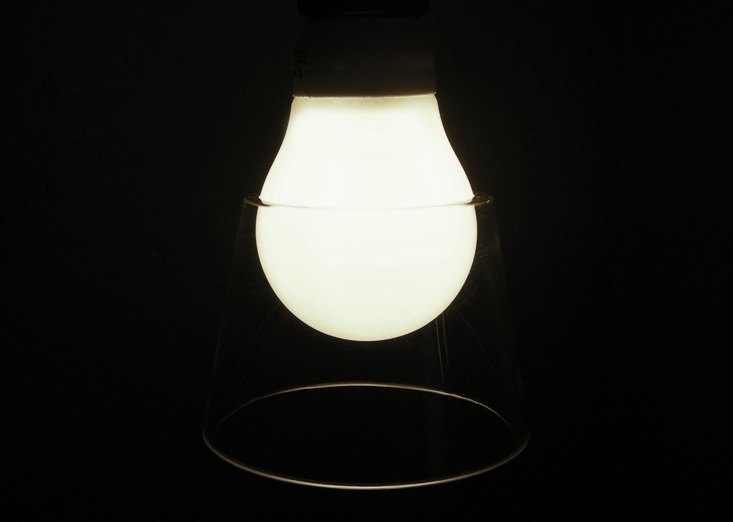 No hardware is needed, and it withstands heat from incandescent light bulbs up to 150W. 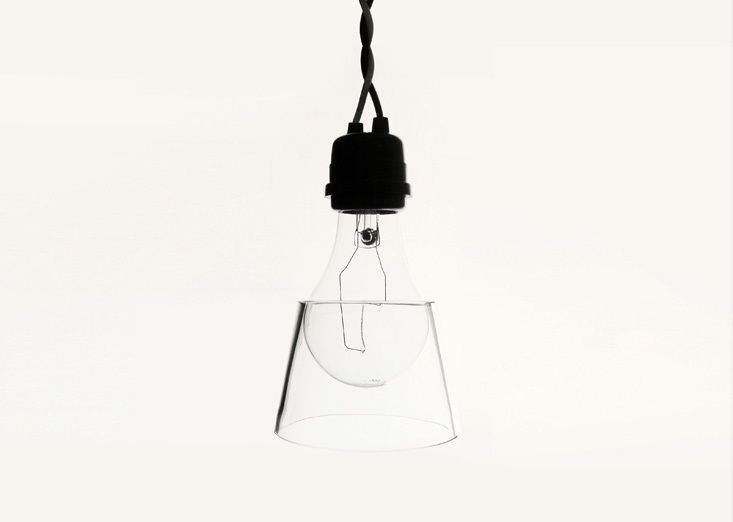 With a clear source of inspiration, the lamp rests on the “hip” of the light bulb.